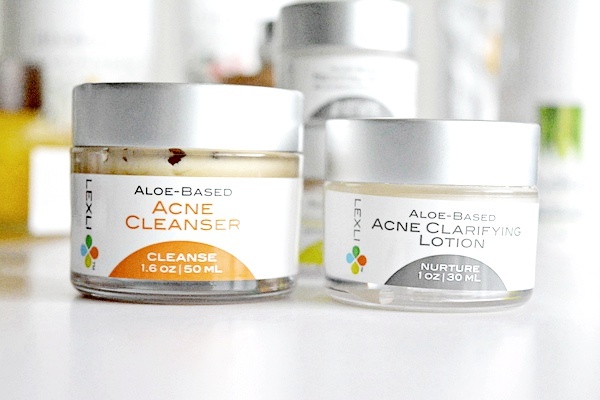 The Lexli Acne Kit is appropriate for anyone with acne-prone skin. 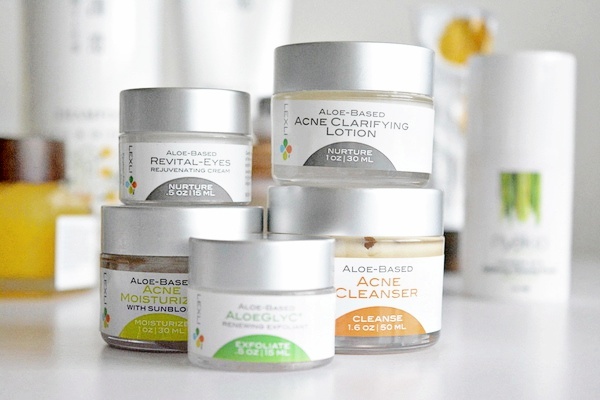 The Lexli skincare brand uses organic/pharmaceutical grade aloe vera for their skincare products. The Aloe Vera plant has so many beauty and skincare benefits that it is widely used in lots of skincare products lately. Aloe Vera is especially beneficial for acne treatment and treating of acne scars. Aloe Vera is used in Ayurvedic medicine, it is a natural astringent. It contains Gibberellins and Polysaccharides that stimulate the growth of new cells which is vital for skin turnover in the treatment of acne. Aloe Vera most importantly is an antibacterial, antiseptic and has anti-inflammatory properties. The Lexli acne kit comes with all the products that you need to get your acne-prone skin in check. It works in coordination with other ingredients to treat your skin from the inside out. Ingredients such as aloe vera, sulfur, salicylic acid, glycolic acid, green tea, benzoyl peroxide, tea tree oil amongst other beneficial ingredients all work hand in hand to curb bacteria, oil, and dead skin cells all which are a significant factor when it comes to acne-prone skin. The acne cleanser has sulfur as one of its main ingredients. Sulfur contains antibacterial and keratolytic properties. The antibacterial is useful for getting rid of the acne-causing bacteria while keratolytic property exfoliates the top layer of your skin by sloughing off dead skin. Sulfur is significant if you have severe acne. Sulfur also helps with acne scar removal. The cleanser is cream based. It cleanses, controls bacteria and removes excess oil and impurities from the skin and hair follicles. How To Use: You apply the acne cleanser on damp skin and leave on the skin for two minutes and rinse with warm water. One of the main ingredients in the clarifying lotion is benzoyl peroxide. Benzoyl Peroxide is used to treat mild to moderate acne. They come in different strength from 2.5%, 5.0% to 10.0%. There is no evidence to that the lower strength is more effective compared to the higher strength. Benzoyl Peroxide is a powerful ingredient. It is bactericidal which means instead of slowing down the growth of the bacteria, it kills the bacteria on contact. The bacteria does not grow resistant to benzoyl peroxide, so this ingredient works as a great antibiotic. Benzoyl Peroxide penetrates deep into the skin to kill the acne-causing bacteria. Acne clarifying lotion supplements the shedding of abnormally sticky cells to prevent clogged follicles and helps control bacteria. How To Use: Use the clarifying lotion once or twice a day depending on the severity of your acne. Massage evenly onto the affected area to be treated. Do not rinse off. You can also use this clarifying lotion as a spot treatment. 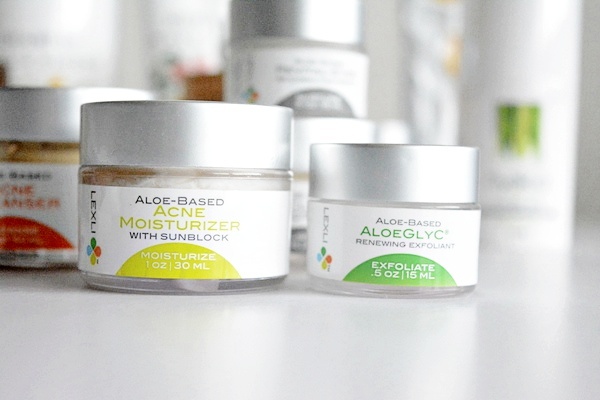 The acne moisturizer has sunblock in it which is essential when you are treating your skin for acne; because of the powerful ingredients been used in the acne products, your skin becomes sensitive to the sun, so it is imperative to protect your skin from the harmful sun rays. Tea tree oil is one of the beneficial ingredients in the acne moisturizer. Using tea tree oil to treat acne is one of the natural approaches to treating acne. Tea tree oil is derived from the leaves of the Tea Tree. Tea tree has antibacterial properties and therefore, excellent for the treatment of acne. How To Use: Use the moisturizer in the morning to soothe and protect the skin throughout the day. Wait a few minutes after applying before putting on makeup. This is a favorite in the acne kit. As the name suggests, one of the top ingredients in the product is Glycolic Acid. Glycolic Acid helps in the shedding of dead skin cells, reduces the fine lines and gets rid of all dark spots. Additionally, glycolic acid is especially useful in the case of hyperpigmentation and uneven skin tone. AloeGLYC Renewing Exfoliant promotes the shedding of dead skin cells; growth of new, healthy collagen; and smooth skin texture.